I just love the tacos at Cala. They’re always so tasty and such great quality. Of these three, I especially liked the trout and potato adobo. It was a nice change from your typical taco fillings. I also love the salsas that they have. I could eat these all day! 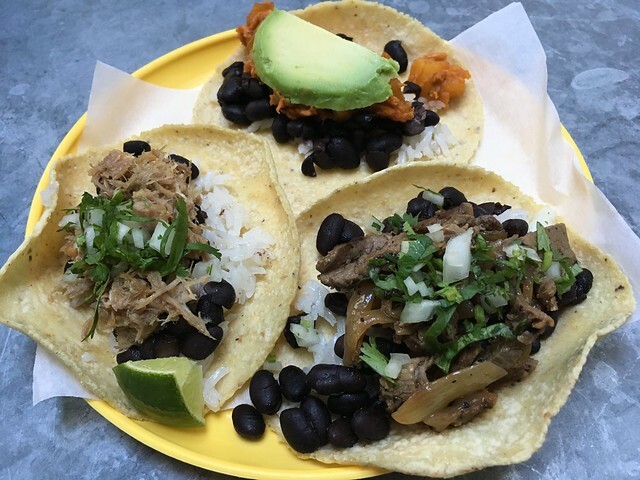 This entry was posted in Tacos Cala and tagged adobo, carnitas, food, lamb, Mexican, mexicanfood, taco, trout by vicentesf. Bookmark the permalink.